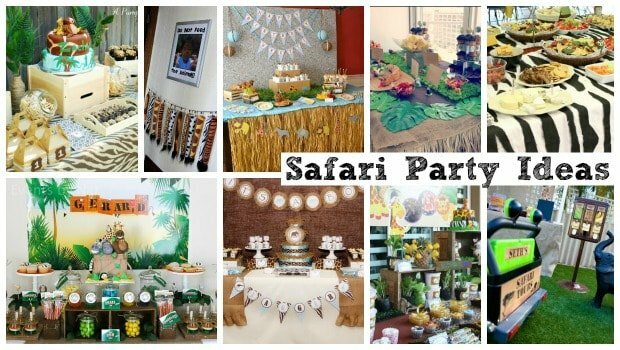 Here on Moms & Munchkins we receive a lot of searches for Safari Party Ideas so I decided to put together a fun post of creative ideas by party designers and talented moms! Don’t forget to pop by the Moms & Munchkins Safari Party post for some snack ideas for the wild animals you may see on your safari adventure! 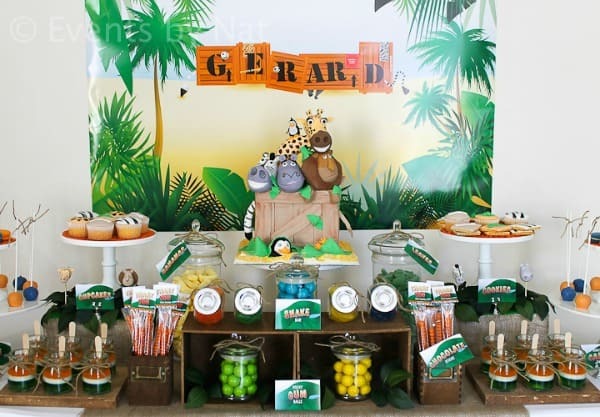 This Safari Party on Spaceships and Laser Beams by Sweet Tables by Chelle is amazing! Amazing almost seems like an understatement for this party! 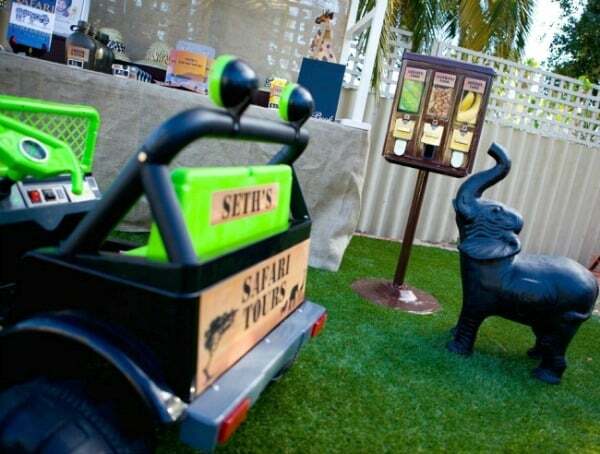 You have to see all of the details in the party post – the water canteens, the mini safari tour jeep, the cameras to capture pictures of the safari animals, the food…okay, I could go on for a while here. You have to head over to check it out for yourself but I can promise you that you’ll love it! I Like to Move It Move It! We watch a lot of Madagascar around here! 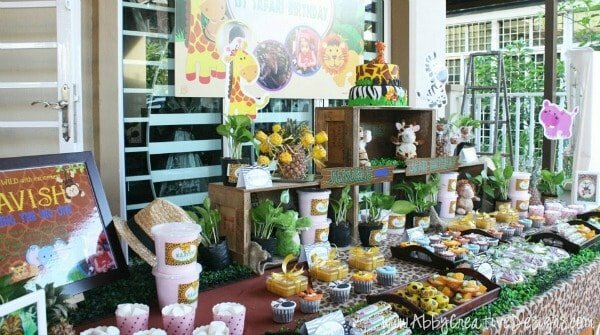 Natalie of Events by Nat has so many adorable details in this Madagascar-themed birthday party. Check out the leaves tied on the bottles, the layered JELL-O and that amazing cake! 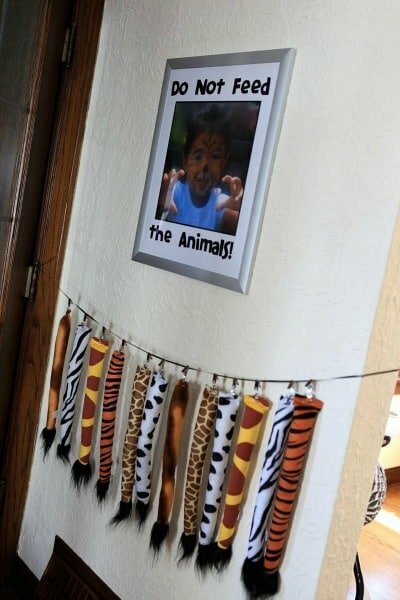 I love the way adorable stuffed animals were used in this Safari Party on Abby Creative Designs. All of the little details in this party make a pretty spectacular event! 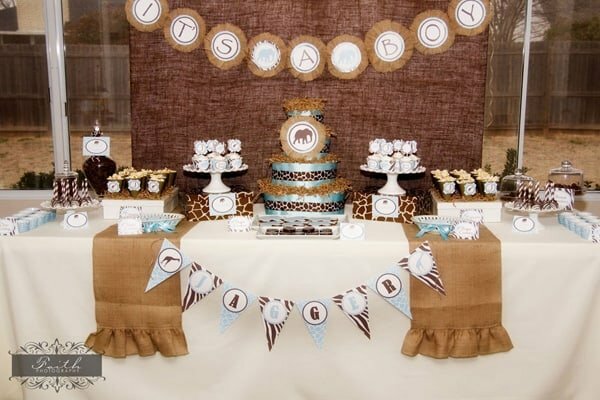 Kara of Lillian Hope Designs has so many fabulous ideas in this Safari Baby Shower. The colors, fabric and patterns all go together so perfectly. The popcorn in cones is an idea I’ll have to try in a future party! The grass skirt with a safari animal banner on Grey Grey Designs is so precious! Check out the homemade pomanders – so cute! 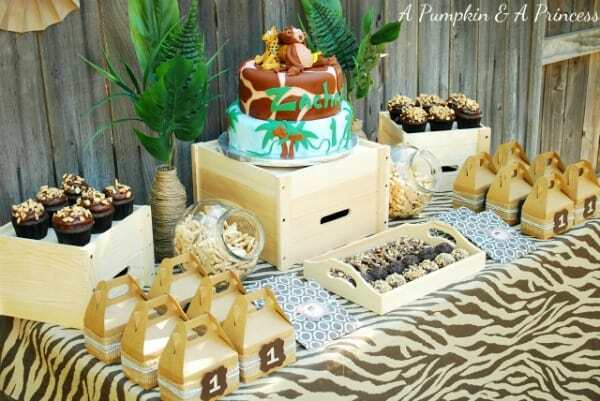 I love these Safari Party ideas by A Pumpkin and a Princess. The cake is adorable and the favor boxes have just enough design on them without going overboard. They make a perfect addition to the party table. I love this adorable idea by Pass the Cereal to welcome guests to the party by offering them their own Safari animal tails. So sweet! The personalized sign above the costume area adds such a special touch. This idea for a snake shaped sandwich on mommydespot.com is so fun! 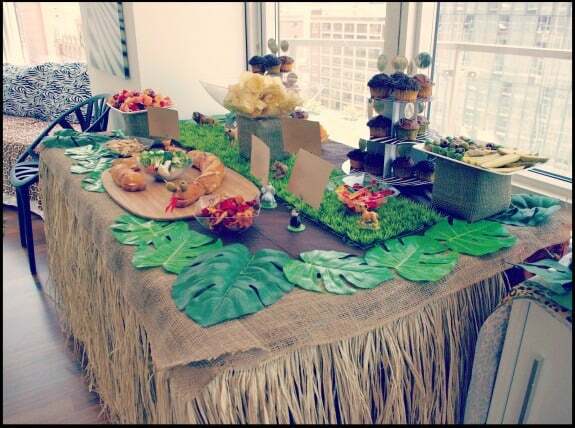 The large leaves & grass on the table are such clever ideas! Thinking of creative ideas for food is sometimes one of the most difficult parts of the party. 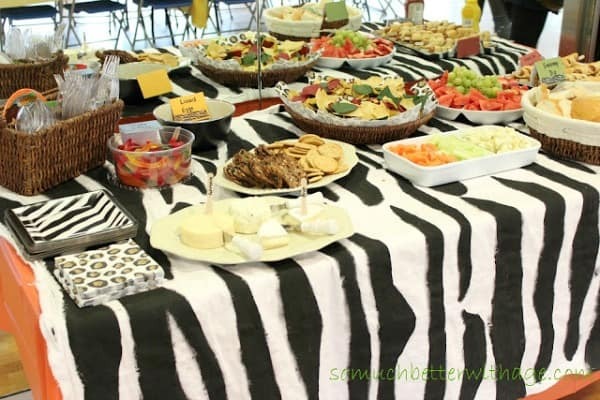 So Much Better With Age has plenty of creative Safari Party food ideas that are all easy to prepare. Which of these ideas do you want to try in your next party? Let us know in the comments below! Don’t forget that we have a page full of Birthday Party themes, planning tips, freebies and more! 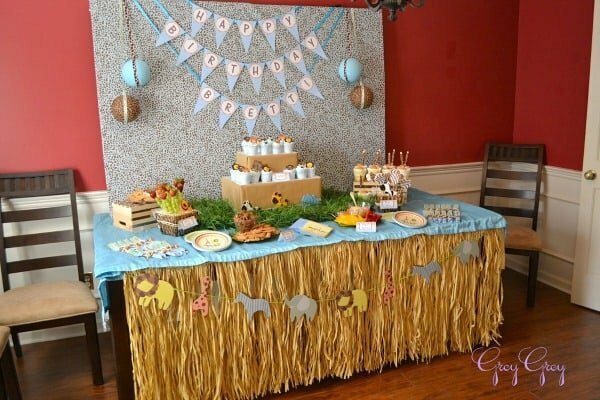 We’re always adding new party ideas! Stay updated on the latest by following along on Facebook, Twitter, Pinterest and Bloglovin’. 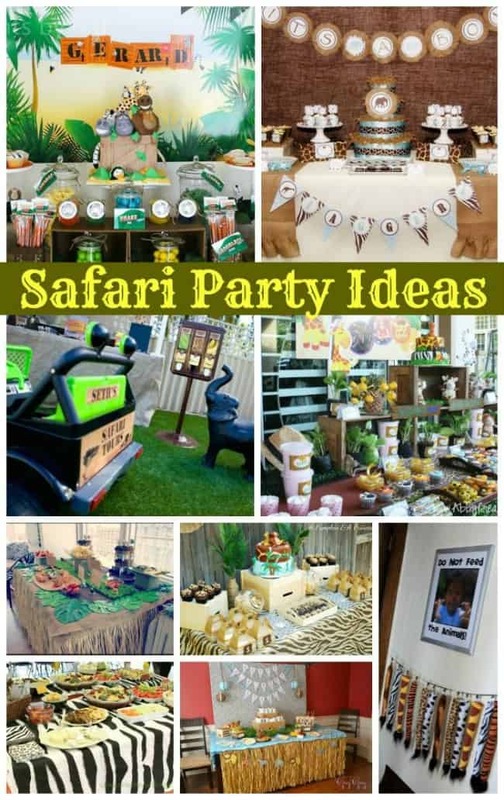 What fun ideas for a safari party. I’m going to share this with my daughter. She has four boys and is always on the lookout for new party themes. Thanks for sharing.